This is the classic work on Elliott Wave and market cycles returned to print. During the 1930s, R. N. Elliott undertook the painstaking procedure of attempting to classify share price movements for the preceding 80 years on Wall Street. It was during the course of this seminal work that Elliott discovered a definable basic rhythm in share price movements which he felt had forecasting value when correctly applied. In 1938 Elliott published his findings in a series of articles with the overall title "The Wave Principle". 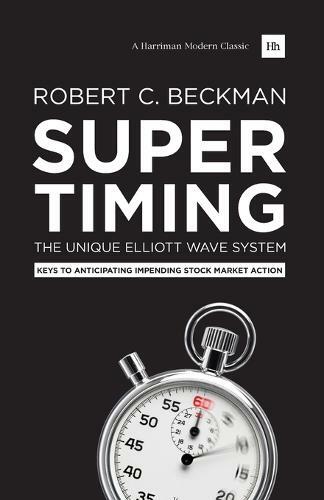 After publication, Elliott's work drifted into obscurity, until Robert Beckman's 'Supertiming' introduced it to a new audience. In this renowned work, Beckman sets out with three main objectives: to clarify obscurities and grey areas of The Wave Principle that were present in Elliott's original writing; to incorporate the work of other analysts in order to allow the Wave Principle to have a broader application; and to show the correct conceptual approach that should be used with the Wave Principle so that one can apply it with confidence and consistency.If you are willing to approach the subject of stock market behaviour with an open mind, who have faith in the fundamental laws of economics and the consistency of human nature, and who would like to avoid the pitfalls that have deluded the investment community for decades, this is the book for you.